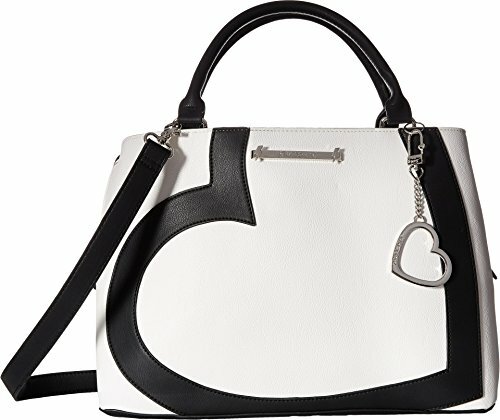 Don't wear your heart on your sleeve—wear it off your shoulder with the Betsey Johnson® Heart Satchel! Synthetic handbag features a heart design and metal charm. Center zip compartment is bracketed on each side by a magnetic-snap pocket. Rolled handles with a detachable, adjustable crossbody strap.